Leaf.ae was established with a full commitment to raise awareness and inform you on important global economic developments as well as emphasize the importance of being informed and financially protected amid the economic turbulences that are occurring and will continue to escalate, we believe, over the coming years. Leaf.ae are one of the newest online bullion dealers to emerge from the thriving UAE market, carrying a wide range of bullion bars, coins and numismatics at very low premiums. Alongside low prices, Leaf.ae take a very educational stance looking to spread the word on gold’s essential position within a diversified portfolio – with a stance that up until now we’ve only seen voiced so vocally in US-based gold dealers. An honest bullion dealer, knowledgeable, friendly with good prices. I had lost faith in Emirates dealers and Leaf has helped rebuild my trust. Transparent, reliable and fast delivery.. Reliable, fast and excellent customer service. 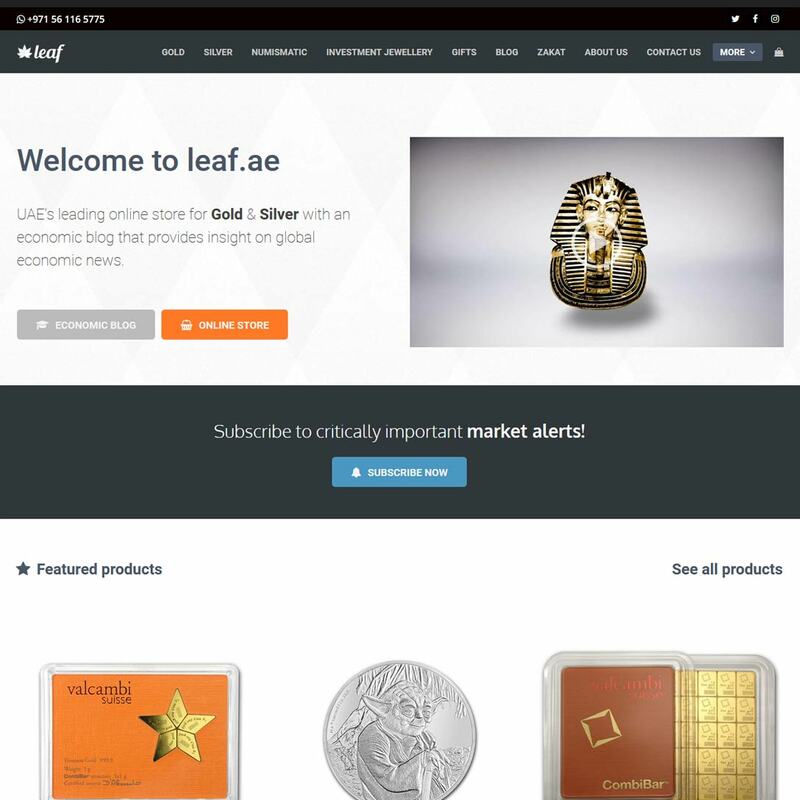 Our Leaf.ae reviews are powered by Bullion.Directory - The Metals Investment Portal.